We've sent you this email because you asked for updates when new features and data are added to .id's free online tools. Stop receiving these emails. The ABS have released their second round of data from last year's Census, and we've begun loading that data into our online tools. What industries employ people in your area? New 2016 employment figures in your economic profile show employment data, by industry for over 300 industry categories. Once you know what industries are employing workers in your area, the next question is..
How are these people getting to work? Do people live and work in your area? Do they live elsewhere and travel to your area for work? If so, where do they come from? Or, do they go elsewhere to work? These 'journey to work' patterns can now be seen on an interactive map in your community profile. If your area has the economic profile, you can see this data by industry. 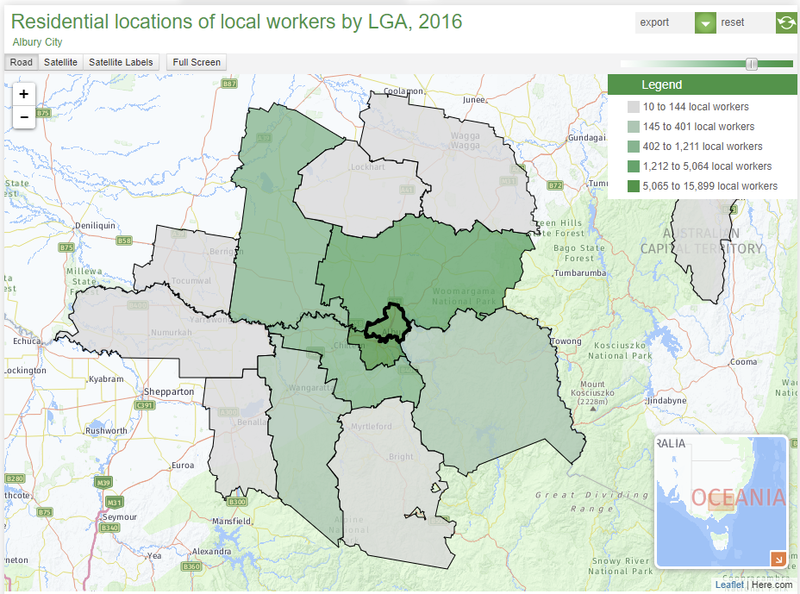 Screenshot: Where do people who work in Albury live? See the live example on the Albury Economic Profile. Bookmark our 2016 Census update tracker page, where we announce each new topic release as-it-happens, alongside great insights and analysis from our team of population experts. If you have any questions, simply reply to this email - we'll be happy to help. You are opted in to receive updates from .id - the population experts.